Light - great for all beer styles. Adds extra body and richness. Especially useful when brewing lighter beers such as lagers and pilsners. Spraymalt will improve the quality of any beer kit when used in place of sugar. It will brew beers which are less 'dry', with more richness, body and improved head formation and retention. Hopped Spraymalt will add an extra 'hoppy' bite to all the beers you make. 1 Replace 50/50 with Brewing Sugar - 1/2 kg sugar plus 1/2 kg Spraymalt (1 pack). Use this in any beer kit recipe which suggests the addition of 1 kg of sugar. This recipe will help dramatically in improving the overall quality and flavour of your beer. 2 Substitute two packs (1 kg) of Spraymalt for all the sugar recommended in the beer kit recipe. Important note: when using this recipe you may consider using an upgraded yeast as you will be producing a beer particularly rich and full-bodied. Simply substitute the two packs of Spraymalt for the 1 kg of sugar stated in the beer kit recipe. This will brew beer of the highest quality transforming any standard beer kit into a premium kit with a particularly high percentage of malt. 3 Add one pack of Spraymalt to any standard recipe in addition to the 1 kg of sugar suggested with the beer kit. This will not only boost the malt flavour but also brew a stronger beer without destroying the beer's natural character. The beer brewed will be approximately 20% stronger than the standard recipe. Muntons Spraymalt is available in 500g packs. 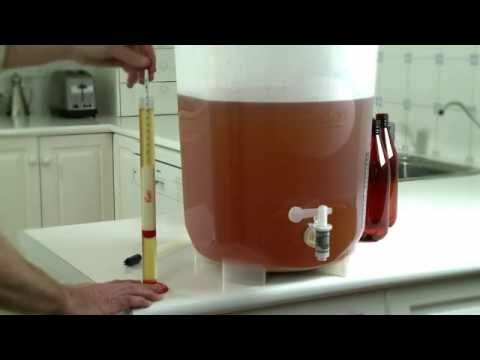 Whichever recipe you follow, you can be sure of producing better beer than any standard kit, easily and economically. Intended as a replacement for white sugar with a balance of fermentable and unfermentable sugars, Coopers Brew Enhancer 1 has been created to produce a creamier head and enhance the body and mouth feel of your favourite brews. For a creamier head with enhanced body and mouth-feel. Recommended for use with lighter beer styles such as Lager, Draught and Pilsner. Can Coopers Brew Enhancer be used with other brands of beer kit? Yes! This beer enhancer works as a substitute for sugar with all beer kits to produce a superior pint! Enhances flavour, mouth-feel and head retention. Great for use with any beer style where a fuller, maltier flavour is preferred. Intended as a replacement for white sugar with a balance of fermentable and unfermentable sugars, Coopers Brew Enhancer 2 has been created to produce a creamier head and enhance the body and mouth feel of your favourite brews. Due to popular demand Cooper's master brewers have developed a beer concentrate in the style of the famous Coopers Original Pale Ale which is considered an Australian icon. The finest 2-row barley, hops and specially selected yeast combine to produce a beer with fruity and floral characters, balanced with a crisp bitterness and compelling flavour perfect for every occasion. Showing 2 of our total 4 reviews, with an average rating of 5 stars. Read all 4 reviews for Coopers International Series Australian Pale Ale Kit. Tried this beer when over in Oz a few years ago & therefore thought I'd try and recreate it at home...................it's brilliant! Lovely smooth pale ale which will be enjoyed over the Xmas period! Made this kit with 500g light spray malt, 100g crystal malt, 600g of brewing sugar brewed to 20l on day 4 dry hopped with 25g of simcoe pellets. Bottled on day nine, very nice brew maybe too nice its all gone.